Controversial plans for a £30m retail development in Rotherham have been amended again. Plans for a 98,000 sq ft development, to be known as Cortonwood Shopping Park, were passed on appeal at a public inquiry in 2013 after earlier being refused by Rotherham Council. Developer Helical Retail has been working on an extension to the existing Cortonwood Retail Park and the initial scheme would see a current distribution warehouse demolished to make way for six large units. Plans were amended in 2014 for nine new out-of-town retail stores creating around 85,000 sq ft of development together with the addition of floorspace at mezzanine level that would not exceed 60,000 sq ft of gross internal area. The plans are being brought forward by Budenny LLP, formerly the property division of Alba PLC who built and operated the Dearne Valley warehouse before leasing it to UPS in 2008. 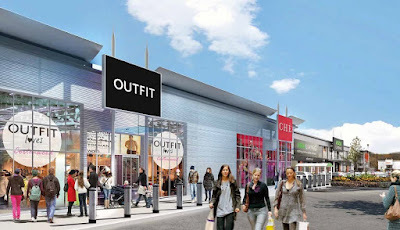 A new set of plans for the development have recently been approved by Rotherham Council which include the erection of a 3,600 sq ft stand alone retail unit within the north west corner of the site. It is very similar in style and scale to the existing smaller unit on the adjacent site which is occupied by SCS. The new unit is set to be "carved out" of the already approved retail development and members of the planning board agreed that a condition should be imposed that the developers can only create up to the amended total floorspace of 136,000 sq ft. The new plans are being made to address occupier requirements. Units are expected to range from approximately 7,500 sq ft to 15,000 sq ft, with the proposed mezzanine floorspace to be "called upon" up when required across the scheme. The developers believe that the new retail park will create between 279 and 372 jobs (equivalent to 186 full time jobs). Already home to the likes of Morrisons, Next, Argos, Asda Living, Boots and B&Q, Cortonwood Retail Park was developed by St Paul's Developments,totally transforming the site of the former Cortonwood Colliery, where the 1984 miners' strike began. It was sold to The Hercules Unit Trust for £46.5m in 2003. In 2009 the trust sold the long leasehold interest in the the park to the Kirkham Family Trust for an estimated price of £41.85m. Helical, exchanged contracts on the adjacent site in 2012, subject to planning. The conditional purchase of the site is also subject to pre-lettings of a percentage of the retail space. Edgerley Simpson Howe is the letting agent for Cortonwood Shopping Park. Whatever they put there it needs pedestrian crossings putting on the whole retail site, you take your life into your hands just trying to cross the road on the retail park. Needs another entrance as I quite often see questions of 1 mile to enter the retail park on a weekend. What about using the old pit lane? on a weekend its a nightmare driving. the traffic is really really bad. and it dose really need a pedestrian crossing as well. but can not see them doing that. this is Rotherham council.